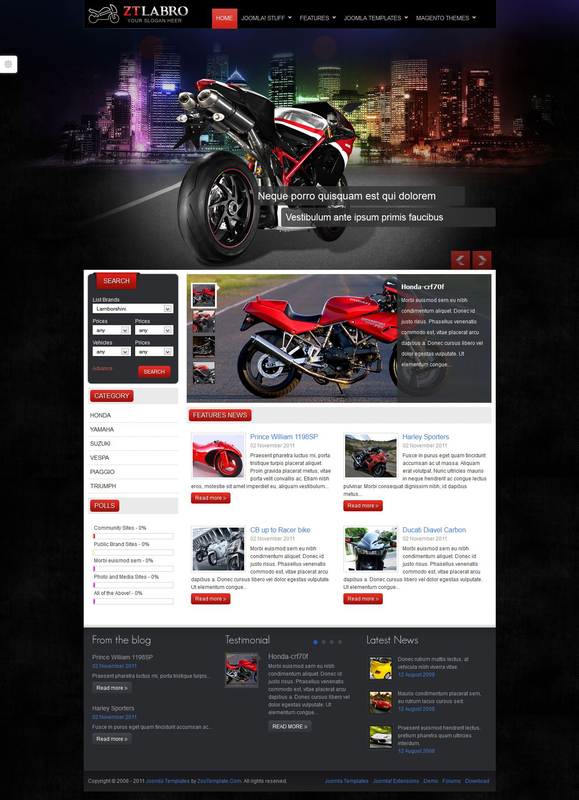 ZT Labro - one of the best templates for auto / motorcycle theme, from studio ZooTemplates. Has a unique high quality design and functionality. Uses intuitive powerful module ZT Slideshow, giving unique pattern marvelous appearance. ZT Headline module helps to keep updating the material on the site, and visually display information about the company, its product range, including accessories, apparel, dealers and news.